America’s largest St. Patrick’s Day Festival, ShamrockFest, returns to the RFK Stadium Festival Grounds on Sat., March 17, 2018 from 12-8 p.m. The festival will feature headliners Sum 41, Shaggy, and Less than Jake, along with performances from Reel Big Fish, Carbon Leaf, Street Dogs, Scythian, Barleyjuice, Kilmaine Saints and more. 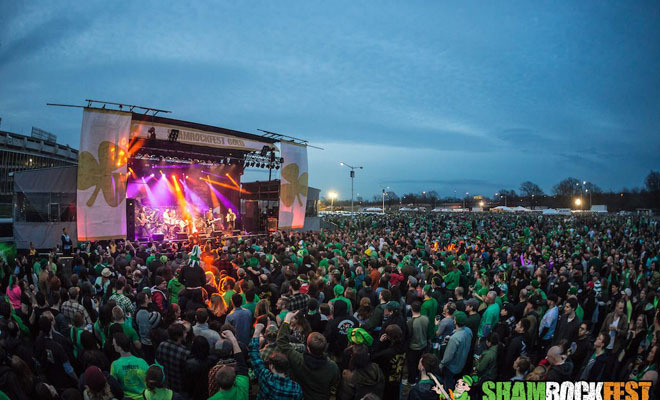 In addition to the music, ShamrockFest delivers fan favorite attractions, including a variety of contests, extreme activities, games, carnival rides, Irish Village vendors, Irish dancers and bag pipers, and a DJ party tent. A menu of traditional festival fare and Irish food options will be available for purchase, as well as a variety of beer and beverage choices. Main Event tickets are now available through ShamrockFest.com, guests looking for the “green carpet” treatment can purchase VIP tickets and will receive bottomless beer, VIP stage viewing, and a souvenir ShamrockFest koozie. The full musical lineup, other fest experiences and ticket info is available at the event’s website.